In this paper, hydrodynamic model has been analytically solved to investigate the nonlocal plasmons in cylindrically curved graphene layers. Within the quasi-static approximation, the dispersion relations for both local and nonlocal cases have been derived; the nonlocal effect is found to shift the dispersion relations upwards. High-order azimuthal modes possess different cutoff frequencies due to such nonlocality, which may occur even in large-scale highly doped structures. In periodically doped cases, the nonlocal effect can modify the corresponding plasmonic band structures, i.e., moving the locations of the bandgaps. The periodicity has made the material more sensitive to the plasmon nonlocality. 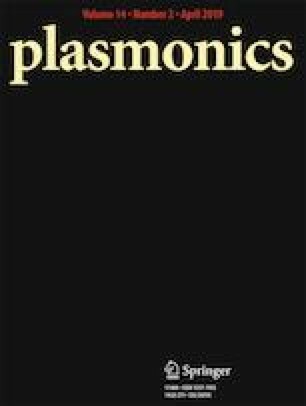 Our investigations may lead to more attentions to the nonlocal plasmonic responses in graphene which are important for graphene-plasmon-based photonic devices. We thank C. Q. Shao for the use of their computer cluster. This work was supported by the National Natural Science Foundation of China (11647117) and the Natural Science Foundation of Zhejiang Province (LQ17A040003). C. Q. Shao was supported by the National Natural Science Foundation of China (11747073).